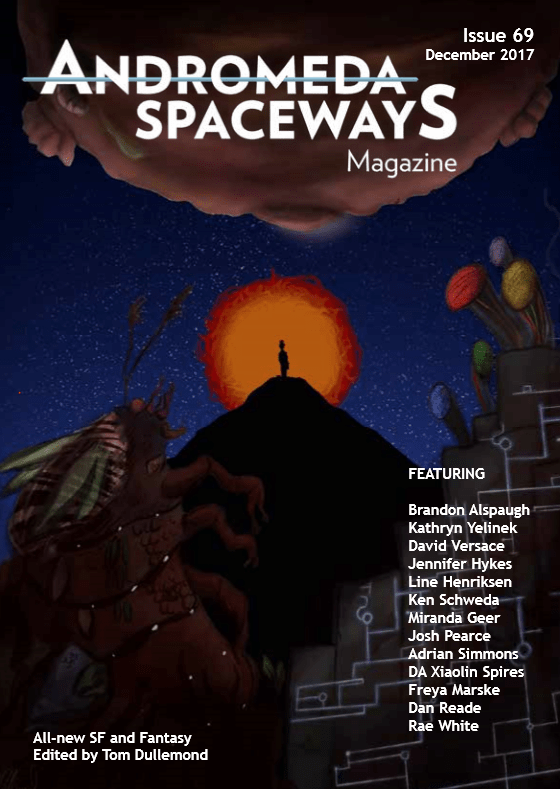 The cover for Andromeda Spaceways Magazine 69 has been unveiled! My story ‘Burn the Future’ appears in the issue, which will be out on Monday the 4th of December. Get it in your preferred electronic format at the website, if you’re inclined. The story is about a sudden and terrible apocalypse resulting in the destruction of institutions, the rise of paranoia and the collapse of hope. It represents the entirety of my published work for the year, not counting this blog. That feels about right for 2017. This entry was posted in Announcements, Writing news and tagged andromeda spaceways magazine, burn the future. Bookmark the permalink. And yes, that seems an apt description of 2017. I’ve got my fingers crossed that things will turn around next year. Thank you! This has been a funny year, productivity-wise. At some point when things settle down I’ll probably do a summary blog post, if only to justify all the data I’ve accumulated.